Considering the age of the street it’s surprising that this hasn’t been provided before now. It’s simply a normal width sidewalk and not intended as a shared path with cyclists. 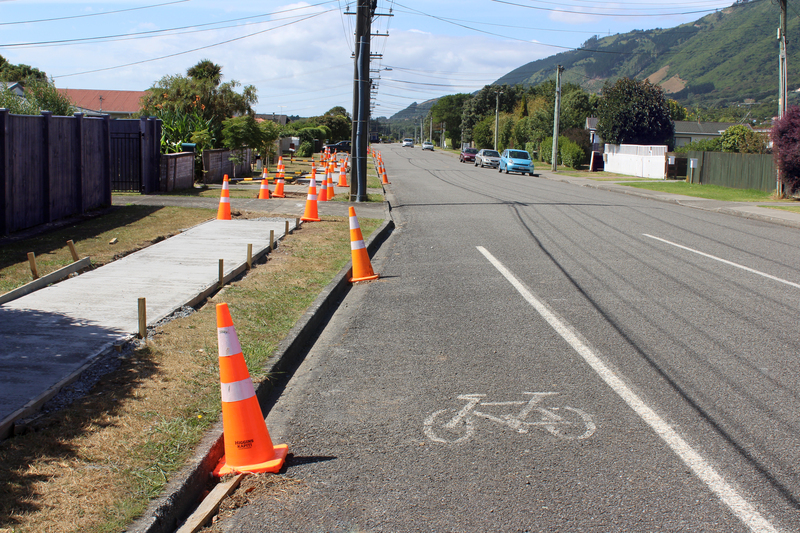 🙂 These already have a lane marked for them for about 70 metres north of the Kapanui Road intersection, after that the normal situation applies.